The Disability and Long Term Conditions Staff Network is a self-organised, staff group addressing issues faced by staff who have either a disability or long term condition. 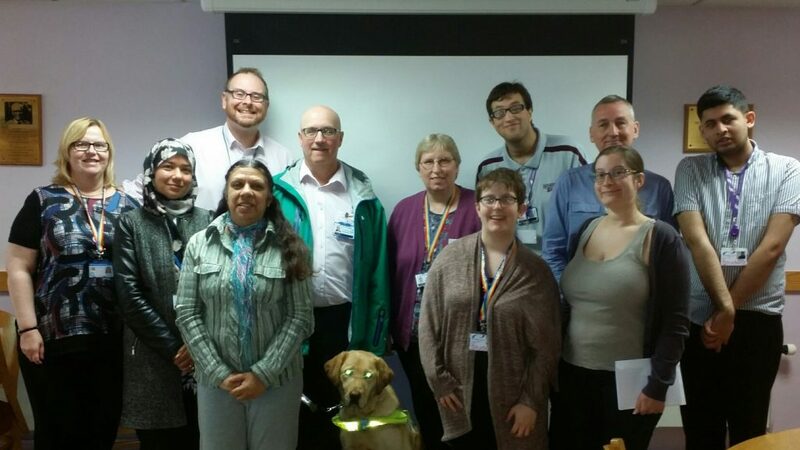 It feeds into the Trust’s Diversity agenda to improve the working lives of our disabled staff by empowering them and ensuring that their rights are respected. The network will enhance the quality of service to disabled communities by assisting the Trust in delivering better services for all and implementing the Workforce Disability Equality Standard (WDES) which is due to come into force during the autumn of 2018. Members of our Disability and Long Term Conditions Staff Network. The implementation of the WDES will enable NHS Trusts and Foundation Trusts to better understand the experiences of their disabled staff. It will support positive change for existing employees, and enable a more inclusive environment for disabled people working in the NHS.